Shakey’s Pizza menu prices at your fingertips. Shakey’s Pizza is a family pizza restaurant chain that’s based in the United States with 500 locations globally. The first Shakey’s restaurant was founded in 1954 in Sacramento, California by Sherwood “Shakey” Johnson and Ed Plummer. Sherwood got the pet name “Shakey” when he caught malaria during WWII. The first pizza parlor opened on a weekend and he only had beer to sell because the ovens were not ready yet. The proceeds of the beer sales provided for the money to buy the pizza ingredients the following Monday when they had full operations. Below are the latest Shakey’s Pizza menu prices. Shakey’s is best known for their creative family meal deals, cheese-filled pizza flavors, chicken and mojos, bunch of lunch, desserts, and of course beer. Originally established as “Ye Public House” for pizza and beer, Johnson used to indulge in his passion to play Dixieland jazz in his restaurant. Later on, he added ragtime music to the mix featuring banjos and pianos for every family’s entertainment. Today, Shakey’s has been synonymous to the title “World’s greatest Pizza” For 60 years, Shakey’s has provided clean family fun and great pizzas and will continue to provide fun-filled memories for generations to come. “Pizza Perfect at Shakey’s”. 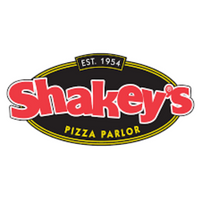 For more information about Shakey’s Pizza, visit their official website. Does Shakey’s Pizza offer gluten-free pizza crust? As of this posting, Shakey’s Pizza does not offer a gluten-free pizza crust. How many Shakey’s Pizza Parlor locations are there in the US? As of this posting, there are 51 Shakey’s Pizza Parlor locations in the US. Who owns Shakey’s Pizza Parlor? Shakey’s Pizza Parlor is owned by The Jacmar Companies and is headquartered in California. Does Shakey’s Pizza offer delivery service? As of this posting, Shakey’s Pizza does not offer food delivery service. Guests can order online and pick up in store.